No one talks about the iPod anymore. I only know of two types of people using them these days - preteens using iPod touches for gaming, and people using old Nanos or Shuffles for running. And, I suppose, my sister, who has an iPod permanently residing in a dock and acting as her home stereo system. But for about 6 years, from 2001 until the iPhone's announcement in 2007, it was THE gadget. Music only, and we liked it that way. 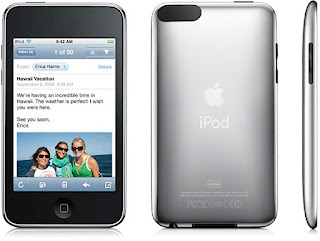 When the iPhone was just a rumor, one critic memorably said "I love my iPod. I don't want it to ring." These are the 5 "Greatest" iPods. They're not necessarily the 5 "best" iPods - obviously, the Touch is the most capable, "best" iPod. But can it really be called the "greatest", when it's practically an afterthought in the Apple product line? And these iPods aren't being graded on a curve, either. Obviously, the original iPod was the most revolutionary for its time, and would be #1 if that were the case. The design of the iPod really DID phenomenally improve throughout the iPod's run. The original iPod had a physical wheel, a piece of plastic that actually spun around in a circular housing. Dirt could get stuck in there. The wheel could break. There were physical buttons all over the iPod - one in the center, and 4 around the wheel for menu navigation and track forward/back. When was the last time you saw 5 physical buttons on an Apple device? No, we are looking for the 5 GREATEST iPods. The ones that were not only the best for their time, but which represented the best that the brand ever had to offer during its decade-long run at the top. 5. Original iPod Mini - It wasn't the most beautiful iPod. It wasn't even that good-looking, really. It was small, but its screen was smaller. Its round edges weren't much to look at. This iPod makes the top 5 because of one amazing innovation - the clickwheel. With one design flourish, the iPod went from 5 physical buttons and a spinning wheel, to 1 physical button and a clickable, static, touch-sensitive wheel. It was absolutely shocking how much of a step forward this seemed at the time. It really can't be overstated. Suddenly, there was an MP3 player that was elegant. 4. 4th Generation iPod (the "Clickwheel" iPod) - It didn't take long for the iPod Mini's signature innovation to proliferate throughout the line. The next iPod was, suddenly, the Platonic ideal for an iPod. 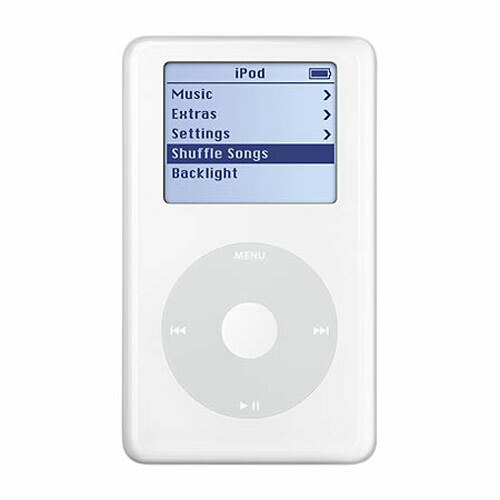 It was thinner, it appeared to have zero buttons (the center button was now flush), and it had the massive storage we expected from iPods. It came in any color you liked, so long as you only liked white. The silver backing was the first gadget surface that I can remember people obsessing over - it was a perfect mirrored surface when you opened the box, and within weeks you'd have etched the entire back. No matter. This iPod was a gift from the gods. And at this point, iTunes made its way to Windows, so the Mac apostates among us (such as myself) were finally able to join the party. 3. Black iPod Nano (2nd Generation) - Now we're talking. The first generation of iPod Nanos ushered in the end of the iPod Mini, but the 2nd generation sealed the deal. While the first Nanos aped the standard iPod look - (plastic front in black or white, shiny metal back) - they scratched ridiculously easy, and had battery issues. The second generation Nano took on the Mini's look and fittings - clad in all metal, round edges. The Cadillac of the 2nd Gen Nanos was dressed all in black. Twice the storage as any other 2nd Gen Nano (8GB vs 4GB), a beautiful color screen, and a fantastic, scratch-resistant black-on-black finish. 2. iPod Touch - I've never owned an iPod Touch, either. But I get it. I really, really get it. It's an iPhone, with no phone in it. It's an iPad, but pocket sized. The first iPod Touch was everything we'd been plotting out on the rumor boards, with our "widescreen iPods" and "virtual clickwheels". It was half as thick as an iPhone, with a beautiful, shiny back. It could do a hundred times more things than any iPod that preceded it. It was the end of iPod design. But it's not #1 on my list. 1. 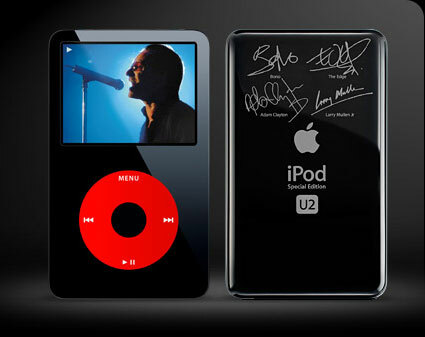 U2 iPod (5th generation) - There's a special place in my heart for the 5th Gen iPod. This was the last pre-iPhone (or "pre-classic") iPod, and it pretty much brought the classic design as far as it could go. A shiny black front, with a stark red clickwheel. And laser-engraved signatures from the band on the back. This iPod was special, and it proclaimed its special-ness out loud. Plus, it could play video on its color screen. 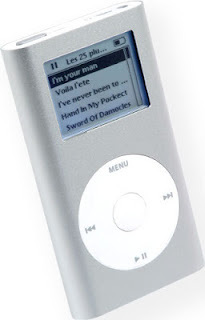 The front of the device was completely flat, while the edges of the beautiful metal backing were gently rounded, as though it were the last slice in a little "iPod loaf". 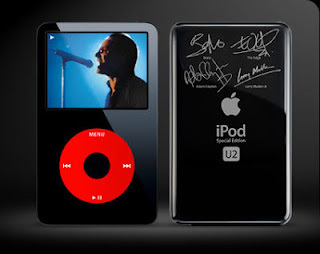 And of all the 5th Gen iPods, the U2 iPod was special. It didn't come with any coupons toward U2 content like the 4th Gen U2 iPod had, but no matter. 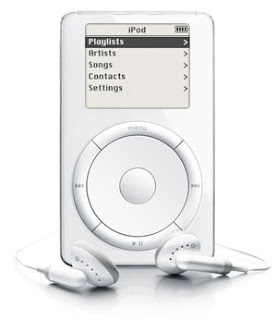 It was the greatest iPod that would ever be developed. Nice. I'm a huge ipod fan. I just dropped my touch fourth gen onto the concrete floor a cpl weeks ago. :-( on the corner... Shattered the screen. Battery life has been dismal for the touch ipods. So I am using my first gen touch connected to a small list ion battery pack as its battery is dead. I miss my fourth gen video. I use my touch purely as a media device. I'm a Samsung galaxy phone fan. S3 here... It's far better than the ipod touch. Also you failed to mention the retina display on the ipod touch fourth gen is awful in comparison to the iPhone 4s. And the camera is garbage. I almost bought a used fifth gen at game stop. I'll wait for the next one. Using Google play on phone temporarily... Want my iTunes back.